Clothes Dryer Vent Cleaning - Sweep&apos;s Luck - Chimney, Dryer Vent and Air Duct Cleaning company serving San Diego and Lake Arrowhead. ​Cleaning your dryer vents is an important task that should never be overlooked. 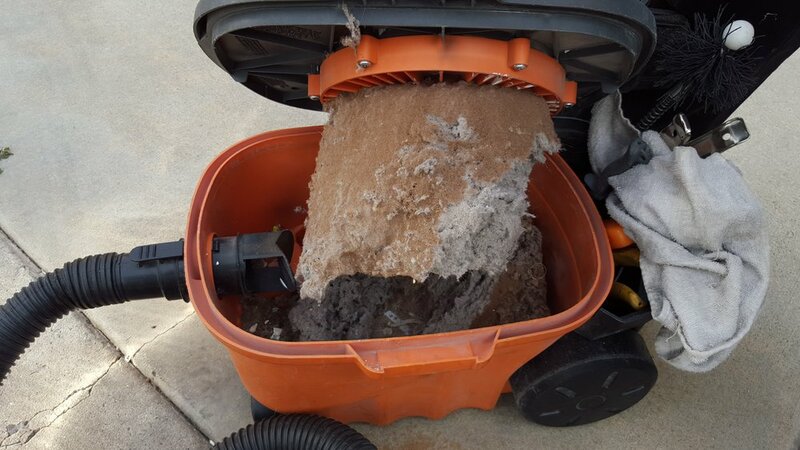 Whether you do it yourself or hire a professional dryer vent cleaning company, like Sweep’s Luck, make sure you have a plan for cleaning dryer vents in your home. Clothes dryers cause more home fires than any other appliance. The Consumer Product Safety Commission estimates that up to 24,000 clothes dryer related fires occur each year. Over time, clothes dryer vents fills with lint that sneaks by the dryer’s filter. Over-heating comes next as the lint builds up. Now you’re just a step away from a fire. Clean out your dryer’s lint filter regularly and have a professional dryer vent cleaning company clean and inspect your clothes dryer vents every 1-2 years (depending on usage). Sweep’s Luck has all the professional tools needed to make sure your vents are clean and NOT a fire hazard. Clothes dryer vents fill up with lint and can increase the danger of a dryer fire. It is important to have your dryer vent professionally inspected and cleaned every one to two years.